Want to know who are our Grassroots Ecology staff? Check out this page, which lists our staff names, job titles, bios, photos, and links to their email contact information. Alex became the Executive Director of Grassroots Ecology when it was spun off from Acterra in 2016. Formerly an Acterra board member, she went on to serve as Acterra's Land Stewardship Program Director from 2010-16. During that time, she oversaw the expansion of the Land Stewardship Program by more than doubling its revenue and quadrupling its impact to the community. Alex is an experienced project manager in the fields of business consulting and software development. She has a degree in Industrial Engineering from Cal Poly, San Luis Obispo. 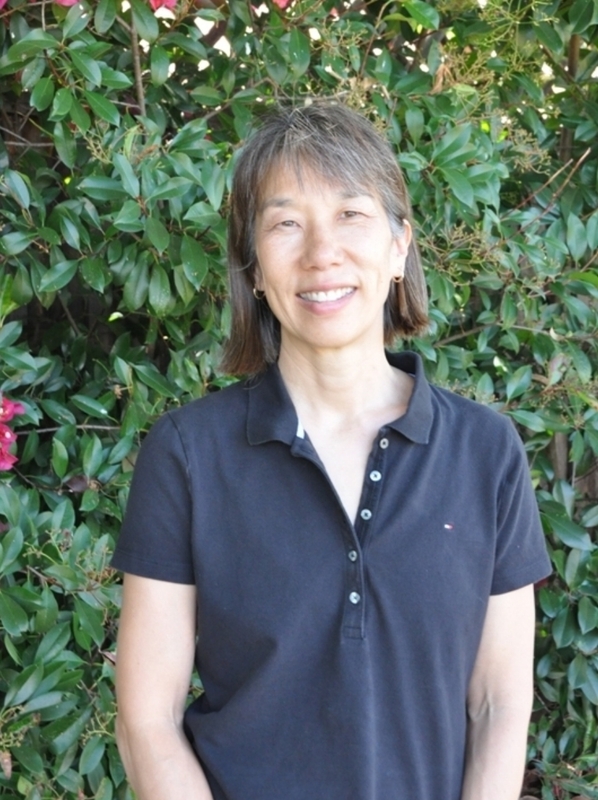 Junko has a special interest in how cities intersect with nature, particularly along creeks. 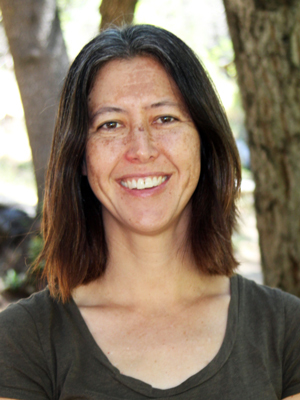 She joined Grassroots Ecology to launch the Redwood Grove restoration project in 2009, and currently oversees multiple projects and partnerships. Her prior work at the Urban Creeks Council, Contra Costa Resource Conservation District, and MIG, Inc. focused on stream restoration, watershed management, and community planning. Junko holds a B.S. in Earth Systems from Stanford University and a Master of Regional Planning from the University of North Carolina, Chapel Hill. Before joining Grassroots Ecology in 2018, Christina was working in Nicaragua promoting education, environmental conservation, and human rights. Prior to that, she was a Naturalist and a grade school teacher. She is interested in ecological justice and peoples’ connection to the land. Christina has a B.A. in Theology, Environmental Studies, and Hispanic Studies from Boston College. She grew up romping through the Pennsylvanian woods. Fran, an experienced start-up professional, joined Grassroots Ecology in 2018. She brings to the position an extensive background in community service, as well as prior experience establishing a non-profit organization. Fran enjoys the outdoors and is a strong believer in working to preserve our California native environments. She has a B.S. in Electrical Engineering from Rensselaer Polytechnic Institute and an MBA from Santa Clara University. Prior to joining Grassroots Ecology in 2016 through the AmeriCorps Watershed Stewards Program, Melisa studied habitat fragmentation in Costa Rica. She has worked with various environmental organizations including the Chicago Botanic Gardens, Friends of the Chicago Rivers, and the Golden Gate National Parks Conservancy. These experiences ignited her passion for habitat conservation, with a particular interest in riparian habitats and community-based restoration. She has a B.A. in Biology from Lake Forest College in Illinois. Before joining Grassroots Ecology, Rachel served as an AmeriCorps VISTA on an urban educational farm in Bridgeport, Connecticut. Originally from Louisville, Kentucky, Rachel graduated with a B.S. in Environmental Science and a B.A. in Biology from Bellarmine University. During her undergraduate career, Rachel was part of two research projects focused on water quality of Ohio River tributary streams and the biodiversity of Louisville's urban community gardens. Rebecca recently graduated from the University of California Merced with a B.S. in Biology and an emphasis in ecological and evolutionary studies. Her participation in the University of California’s Ecology and Conservation program took her on a 50-day field immersion course to various natural reserves across the state, allowing her to develop an appreciation for fieldwork. Rebecca is excited to develop a more in-depth understanding of the complex relationship between water and urban environments. Prior to joining Grassroots Ecology in 2006, Claire spent 30 years as an environmental scientist and engineer, including work with the USEPA and EOA, Inc. on industrial and stormwater pollution. In her non-profit work, she developed a volunteer monitoring program for the Stevens Creek Watershed, wrote pollution prevention procedures for coffee processors in Nicaragua, and was an environmental educator at Hidden Villa. Claire has a B.S. in biology from Cal Poly, San Luis Obispo, one year of freshwater ecology studies at the University of Uppsala, Sweden, and an M.S. in Environmental Engineering and Science from Stanford. Gabe graduated from Pitzer College, where he majored in Environmental Science. Gabe’s college experience included a heavy emphasis on sustainable food production ranging from working at organic farms to serving as a food waste projects intern with the Pomona College Sustainability Office. His interests in conservation biology, climate science, and water policy led him to apply to the Watershed Stewards Program. As a California native himself, Gabe loves running, cycling, and hiking and is excited to make a difference during his time with Grassroots Ecology. Deanna has nurtured thousands of native plants since taking the reigns of our nursery in 2006, including rolling out new protocols to ensure pathogen-free nursery stock. She has served as president of the Santa Cruz Chapter of the California Native Plant Society, and remains active in CNPS initiatives such as Rare Plant Treasure Hunts. Deanna previously worked for Central Coast Wilds and the UC Santa Cruz Arboretum. She has an A.S. in Horticulture from Cabrillo College and a B.A. in Environmental Studies/Biology with an emphasis in Plant Ecology from UC Santa Cruz. Before joining Grassroots Ecology in 2018, Claire was working on Catalina Island at the Catalina Environmental Leadership Program where she led volunteer programs in habitat restoration, invasive species removal, trail building, and garden design. Claire has also had many exciting seasonal work opportunities including building autonomous homes with Earthship Biotecture, leading a trail crew in the backcountry of Olympic National Park, and sailing a 125-foot schooner from Maine to Cuba. Claire has her Bachelors of Landscape Architecture from the University of Oregon. Dani grew up in the Santa Cruz Mountains, spending most of her time outside in the woods or working with animals on her family’s ranch. She can be found doing odd jobs around the nursery as well as whatever detailed work needs a pair of patient hands. Beyond her love of plants, Dani is a singer/song-writer and has a deep passion for music and the arts. She has an Associates in Art degree from Foothill College. Dani loves spending her time outside nurturing the plants and guiding our wonderful volunteers through their projects. Nikki has been working in native plant nurseries since 2004, starting off as a nursery volunteer at Yerba Buena and Grassroots Ecology. She later became a nursery assistant at Grassroots Ecology, where she worked while earning an A.S. in Biology from Foothill College. Nikki went on to obtain a B.S. in Ecology and Evolutionary Biology from the University of California, Santa Cruz, during which time she worked at their Arboretum and Invasive Plant Lab. She subsequently received a graduate fellowship to research native milkweed propagation at the University of Idaho, and worked at native plant nurseries in Idaho and Washington before returning to Grassroots Ecology in 2016. Paul is a naturalist, interested in all aspects of science in the natural world. He is an active member of the California Native Plant Society Santa Clara Valley Chapter, San Mateo County Weed Management Area, and Portola Valley Conservation Committee. He also volunteers as head Friday weeder at Edgewood County Park and at Jasper Ridge where he participates in the biannual ant survey. A geologist by training, Paul worked for Getty Oil Company exploring for oil in the Williston Basin of North Dakota. Before joining Grassroots Ecology in 2017, Devon studied Environmental Management and Protection at Cal Poly San Luis Obispo. While earning his degree he was involved in student-run organizations including Sprout Up and The Real Food Collaborative. Devon also has experience working for the City of Santa Barbara Parks and Recreation Department as a Nature Camp counselor. These experiences have shaped Devon's desire to work in environmental education and increase community involvement in natural resources decisions. Talia has worked with Bay Area nonprofits enhancing community health and sustainability for over a decade. Since joining Grassroots Ecology in 2013, she helped to launch its East Palo Alto and Los Altos Hills restoration projects before transitioning into her current role in fundraising and communications. Prior to that, Talia worked as development manager at Slide Ranch, an environmental education center in the Golden Gate National Recreation Area. She has a B.A. in Psychology from UC Davis. Val joined Grassroots Ecology in 2016. Her love of the outdoors was sparked early on, exploring national parks with her family since the age of five. Her curiosity and spirited enthusiasm were further kindled while earning her B.S. in Environmental Studies from UC Santa Barbara. 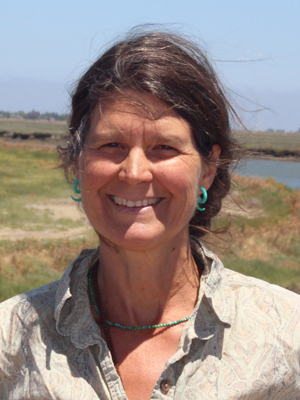 Val has previously helped recover coastal dunes, grasslands, and slough habitat for the endangered Western Snowy Plover at the UC Reserve, Coal Oil Point. She is particularly interested in the interrelationships of our natural and developed landscapes, an interest ignited by her field studies in South Africa. Emma joined Grassroots Ecology through the AmeriCorps Watershed Stewards Program in 2018. Originally from Virginia, Emma graduated with a B.S. in Environmental Sciences and a B.A. in Studio Art from the University of Virginia. In her undergraduate career, she researched the foraging behavior of native bumblebees at the Virginia State Arboretum. She also completed an internship with the National Fish and Wildlife Foundation, researching the conservation of large mammal migration routes in the Western United States. Jeremy oversees community science and habitat restoration within the Stevens and San Francisquito Creek watersheds. He originally joined Grassroots Ecology as a member of the Americorps Watershed Stewards Program in 2014. He graduated from UC Santa Cruz with a B.S. in Earth Sciences and a concentration in Environmental Science. Subsequently, he examined coastal groundwater discharge at the U.S. Geological Survey, and became interested in conservation and restoration work. Before joining Grassroots Ecology in 2018, Nina spent a year in New York teaching outdoor education, followed by two years as the Assistant Director at an overnight camp in Connecticut. As an East Coast transplant, she is loving everything that California has to offer! Nina is excited to continue working with the community outdoors at Grassroots Ecology, while learning more about the world of habitat restoration. Nina holds a B.S. in Environmental Science from the University of Massachusetts, Amherst. Shelley joined Grassroots Ecology in 2017 to support aquatic insect research, creek monitoring, and habitat restoration. She is concurrently an aquatic entomologist at UC Berkeley assisting researchers studying food web interactions in the South Fork Eel River and its tributaries. She holds a degree in Molecular Environmental Biology with a concentration in Entomology from UC Berkeley. Kathleen is interested in the intersection of science, education, and conservation. She worked as a science teacher for nine years in Oregon and California. Before that, she did field and lab work for the Carnegie Institute for Global Ecology. Kathleen has a B.S. in Biological Sciences and an M.A. in Education from Stanford University. She grew up in Palo Alto, hiking and appreciating our beautiful open spaces. Evany joined Grassroots Ecology as a Climate Corps AmeriCorps fellow in 2018. She first discovered a love for the outdoors while volunteering with the Huntington Library and Botanical Gardens. Evany went on to earn her Bachelors in Landscape Architecture from Cal Poly, San Luis Obispo. Her coursework in bioremediation, forestry, and wildlife conservation—as well as her experiences hiking in New Zealand and Australia—ignited her current interest in habitat restoration. Kristen first developed her love of the outdoors growing up in the North Coast town of Mendocino. Prior to joining Grassroots Ecology in 2013, she was a nursery assistant at Flowers by the Sea in Mendocino County and an intern at the Filoli gardens in Woodside. While earning her degree in Geography/Environmental Studies from UCLA, Kristen interned at the non-profit TreePeople and worked with the Department of Geography to begin restoring the last remaining plot of native vegetation on campus. Sara first became fascinated with native plants and pollinators while working at an urban native bee garden as a student at UC Berkeley, where she earned a B.S. in Conservation and Resource Science.Prior to joining Grassroots Ecology in 2010, she did volunteer coordination and bird banding with non-profits focused on urban forestry and biological monitoring.